This past weekend, I was out in Colorado visiting my bestie for her birthday weekend. This makes me sound like an awesome friend, but really she bought my plane ticket, so she is the awesome friend. 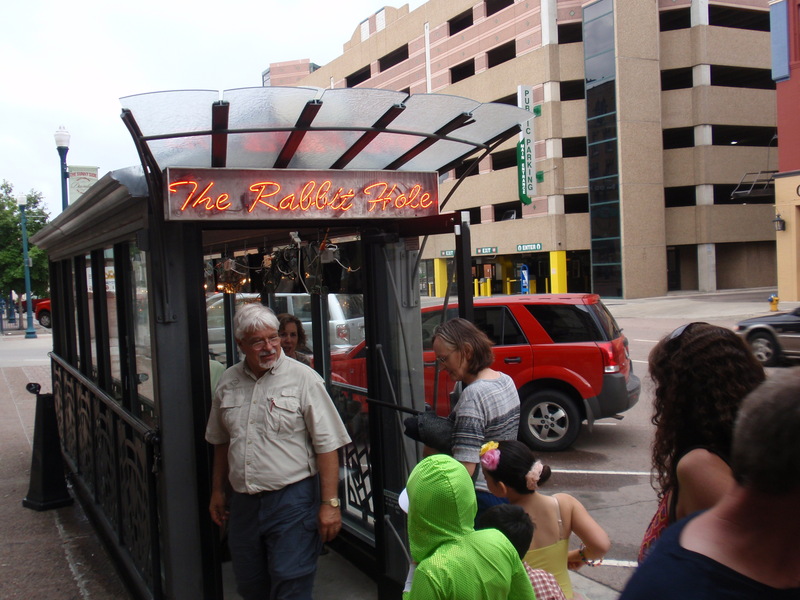 I won’t divulge all our shenanigans, but I wanted to share a little bit about the food tour we went on in downtown Colorado Springs. We visited six different local “food destinations.” One was a spice shop, so you can’t really call them all restaurants. 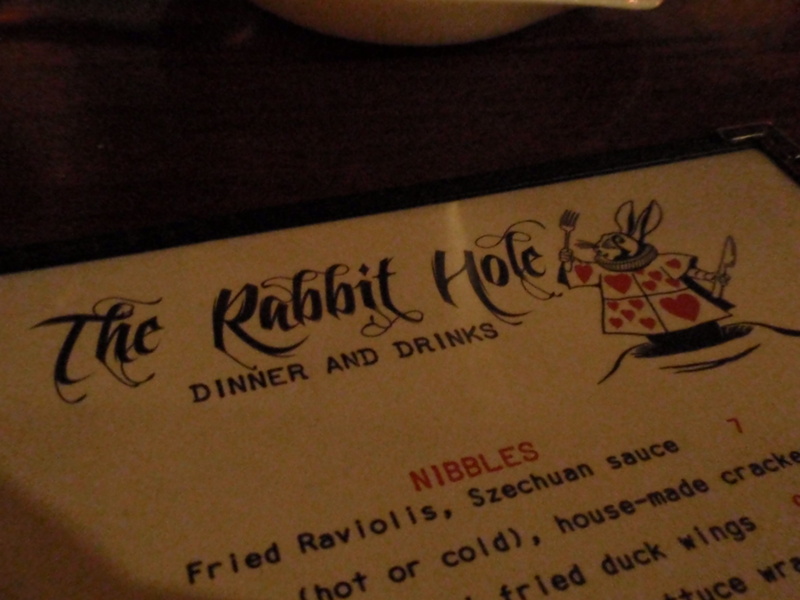 The most interesting/unusual thing we ate, in my opinion, was at a restaurant called The Rabbit Hole. The entrance to the restaurant looked like an old subway entrance and was perfectly fitting for a place called The Rabbit Hole. 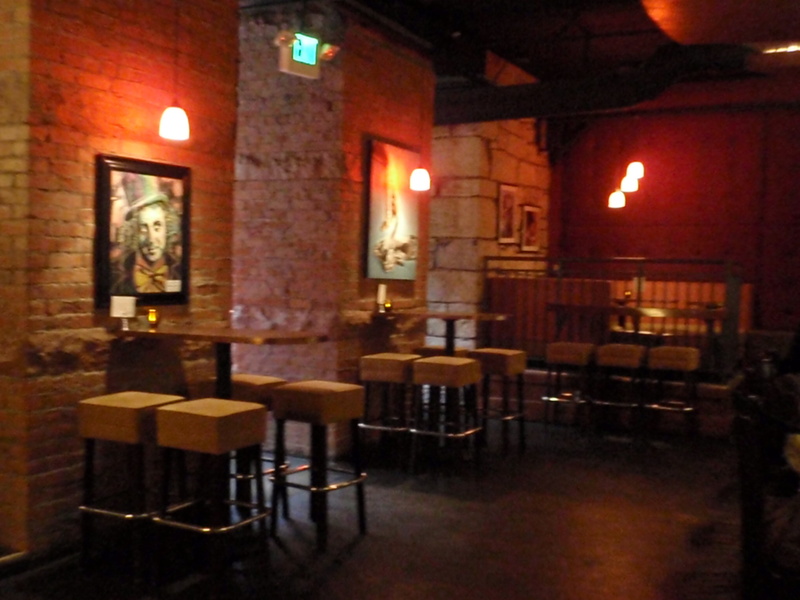 You walked down into dimly lit, exposed brick, awesome-ness. At each restaurant, the manager/chef selected the dish they felt best represented their eatery or was what they were really known for. Rabbit meatloaf wrapped in bacon, garnished with a carrot. That’s right, I said rabbit. We ate Thumper. They also offer, although we didn’t try it, fried “bunny bites” with mixed berry honey mustard. I’m guessing they’re like chicken nuggets? But rabbit? If you’re planning a trip to Colorado anytime soon, here’s the food tour website. What do you guys think? 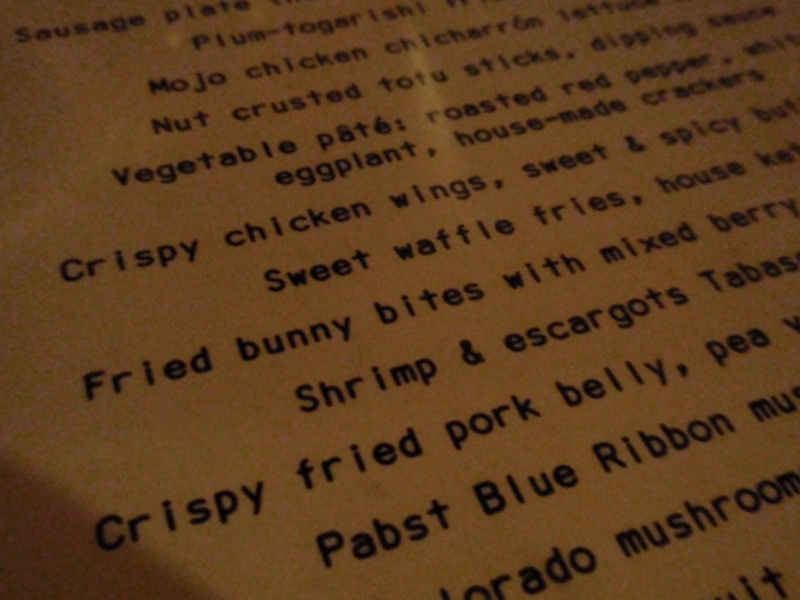 Would you eat rabbit? Emily, I believe it’s only been open about a year. Previously it was some other restaurant and the building was originally a morgue! Oh good. I was worried… come to think of it, I think the previous place was called The Underground or something.